My kids were playing with coins and all of sudden i just jumped to act on idea which is in my Mind for some time.yes Charity box.. In our childhood we all were obssessed of our money boxes and saving money. Our kids Ma sha Allah have every thinng they want .idea of saving money is not much popular now a days. All of us had coins left with us . 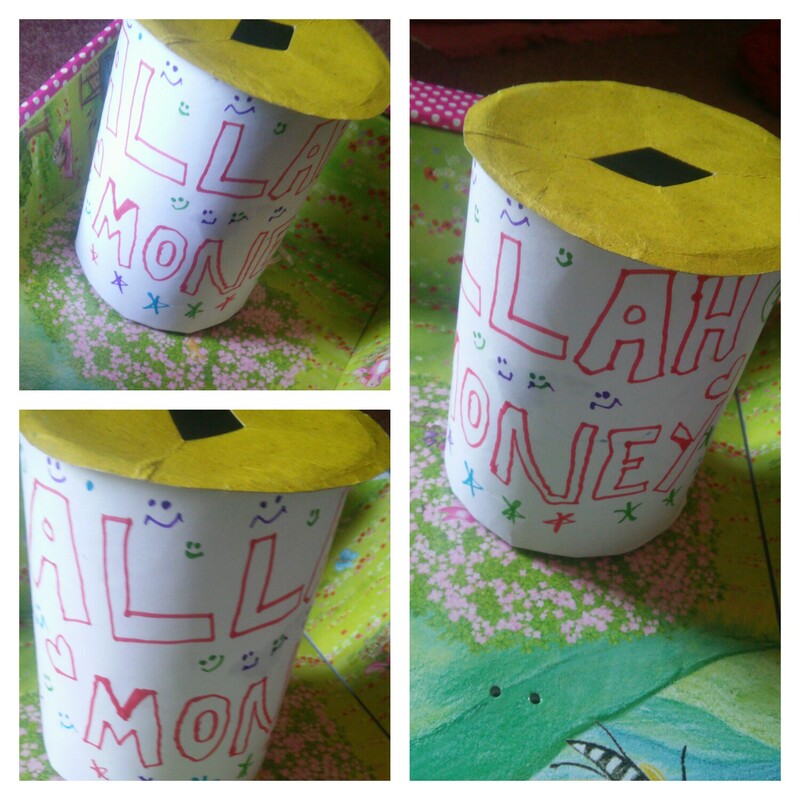 my kids are very much interested in getting this coin money.so today i told them that you always get this but don’t spend it.so we will make a money box for Allah .and collect all money in it and this money is for Allah.As it is called spending in way of Allah so this is Allah’s Money. Told them we had lots of good things with us to whom we should be Thankful.but there are people who d’nt have enough.The reason Allah has given us more than them is that so we could share with them all goodness and in this way Allah will be Happy.so Goahead with idea of Allah’ Money. This is such a great idea. I was paying my kids to do chores, but your idea is much better. I think we should definitely change our strategy!